Father’s Day is almost here! It’s time to show the fathers in our lives (including grandfathers, uncles, cousins, etc) how much we love them. And as we spread the love to these mighty men, we want our children to be a part of the Father’s Day celebration as well! 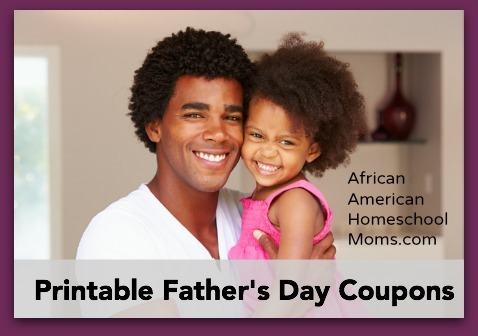 Help the kids surprise Dad by printing out these fun Father’s Day coupons. 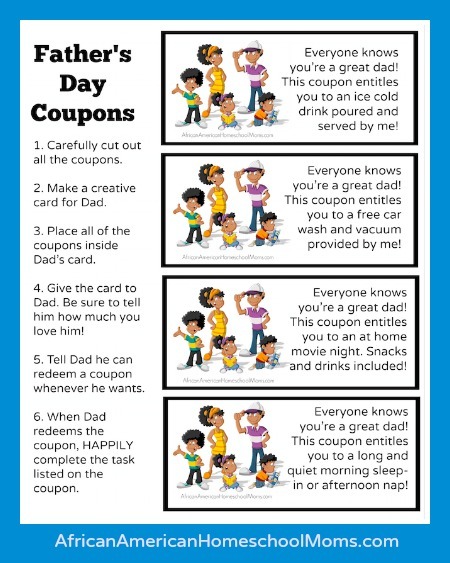 The Completed Father’s Day Coupons page features four different coupons that tell Dad what his coupons can be redeemed for. 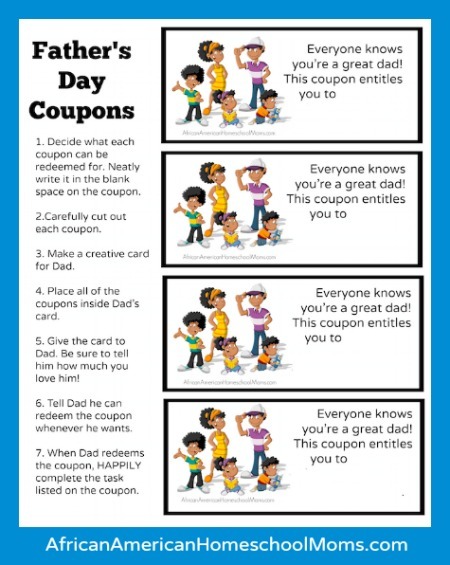 The Fill in the Blank Father’s Day Coupons allow children to create a set of four unique coupons just for Dad. Click on the red links to download the coupon pages. 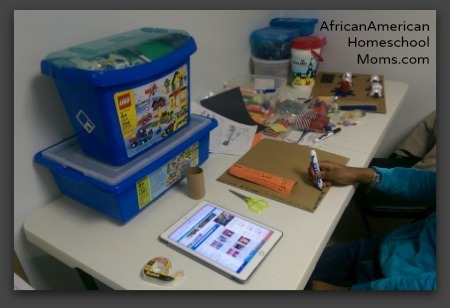 When the weather takes a turn for the worse due to snow, rain, or extreme heat and cold, it’s always good to have a few indoor activities for our kids to enjoy. In this short video, I describe how you can get a copy of Keep It Moving, the free downloadable board game I created. 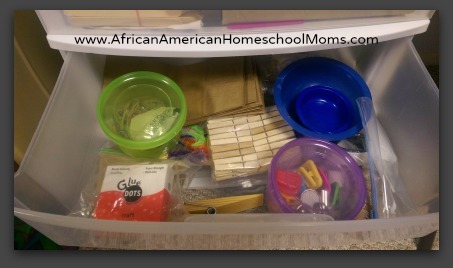 It’s the perfect activity for keeping kids happily occupied during times of inclement weather! My girls have pen pals and whenever a holiday rolls around, they are eager to send gifts and cards to their pen pals. Gifts and postage can become expensive, so I encourage the girls to make their own cards and gifts to send to far away friends. 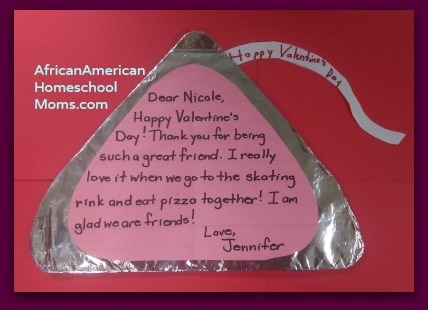 For Valentine’s Day, the girls created these adorable Hershey Kiss cards I think their pen pals will love! 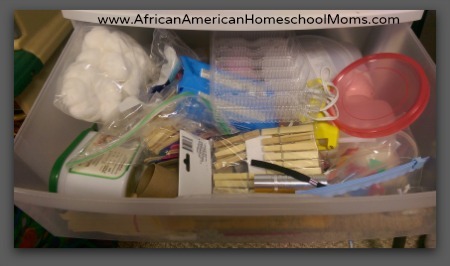 Your children can easily create this super simple Valentine’s Day craft by using a few familiar household items. 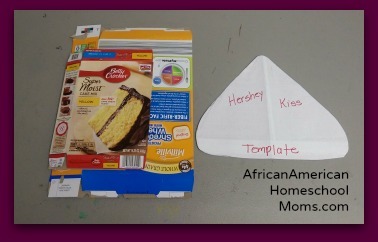 Trace the large Hershey’s Kiss Template onto the the cardboard box and cut it out. Wrap the cardboard kiss in aluminum foil, making sure the shiny side of the foil faces outward. The front of the Hershey’s Kiss will be smooth and the back of it will be a bit lumpy and bumpy. 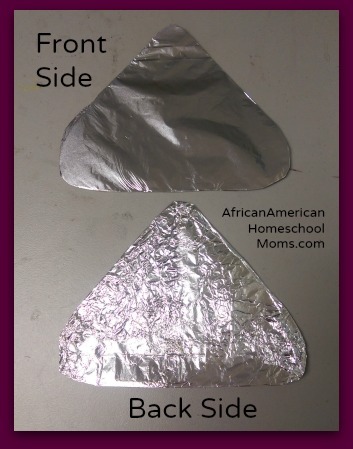 Use tape Scotch tape to secure the back of the Hershey’s Kiss so that the foil does not come off. 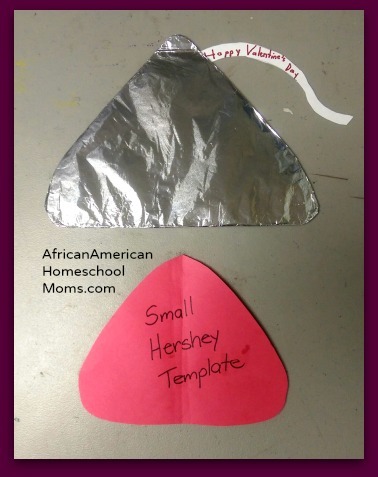 Trace the small Hershey’s Kiss template onto a piece of red or pink construction paper and cut it out. Have your child write a short letter to the recipient. Children can also use the space to write a poem or list a few jokes. 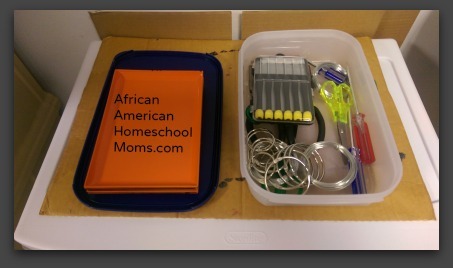 If your child has an issue writing without lines, use a ruler to draw light lines for them to write on. Once the writing is done, center the small Hershey’s Kiss onto the larger Hershey’s Kiss and glue it down. Done! 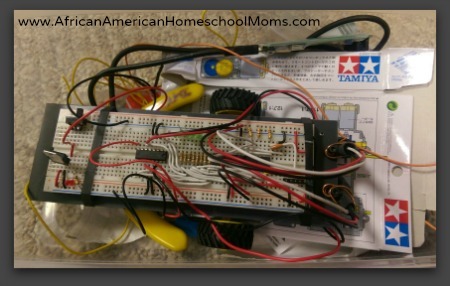 Holiday crafts don’t have to be complicated or messy. 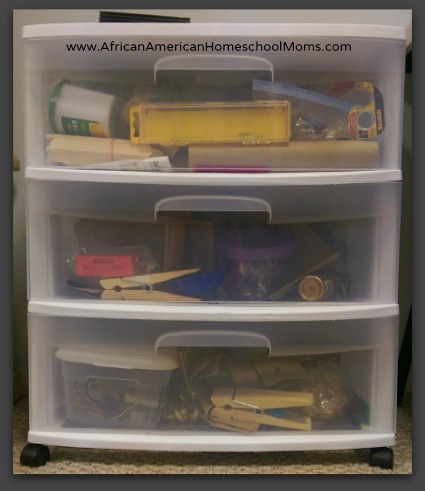 Gather a few simple items and let the children get busy creating their own fun and interesting masterpieces. Happy Valentine’s Day! Our church is hosting a special Martin Luther King, Jr. program this weekend. The church’s youth were invited to participate by completing an essay or designing a poster about one of Dr. King’s traits. My girls chose the words visionary and leader and decided they wanted to create posters to share what they knew and learned about Martin Luther King, Jr. The girls wanted their posters to be colorful, artistic, and non-traditional as well as informative. I encouraged them to include the dove of peace on their posters and the girls decided to decorate them using a couple of art mediums they had recently learned about. 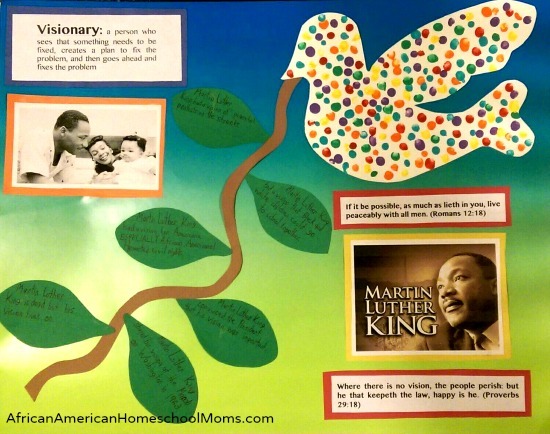 Sweet Pea’s poster showcases Martin Luther King Jr. as a visionary and includes a colorful dove of peace painted using an artistic technique called pointillism. (For a lesson on pointillism, check out the Youtube video here.) Sweet Pea’s dove is holding a branch and each leaf includes a sentence describing Martin Luther King Jr.’s vision. Her poster also includes her definition of the word visionary, two Bible verses about vision and peace, and a couple of Martin Luther King, Jr. photos she liked. Sugar Plum’s poster also includes the dove of peace, but her colorful bird was created using oil pastels. (For a lesson on the use of oil pastels, check out this video on Youtube.) Her poster has the definition of leader as defined in her own words and includes puzzle pieces that name traits of a good leader. 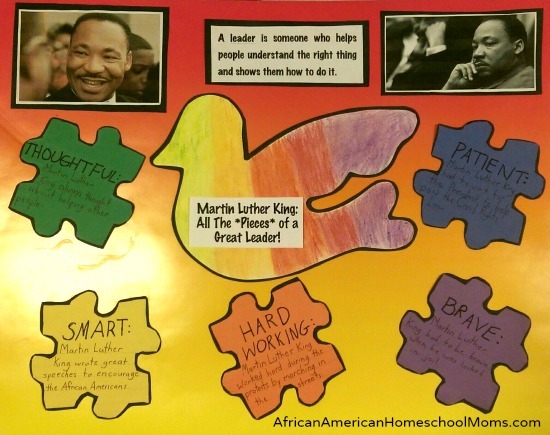 Each puzzle piece also includes a sentence describing how Martin Luther King, Jr. displayed that particular trait. Sugar Plum also selected a few pictures of Martin Luther King, Jr to add to the poster. 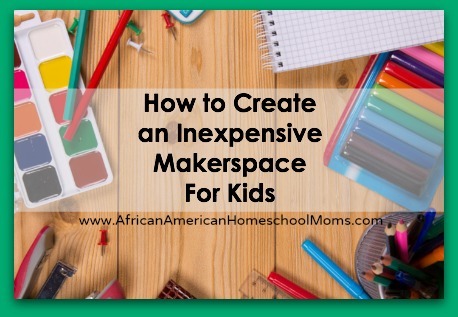 If you’d like to make these pretty posters, you’ll need poster paper, construction paper, glue, scissors, and the usual variety of art supplies. We used a dove template I already had in my files, but if you don’t have one, you can download the dove template found in the center of this page. I enlarged our dove so it would be big enough to fit on the posters. We sketched the leaves and branches ourselves. 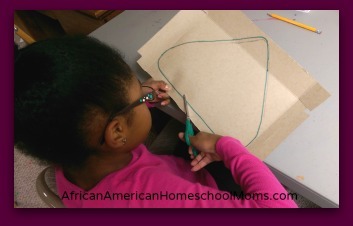 Sugar Plum’s puzzles pieces were created using this template. Because the puzzle piece was so large, no resizing was necessary. 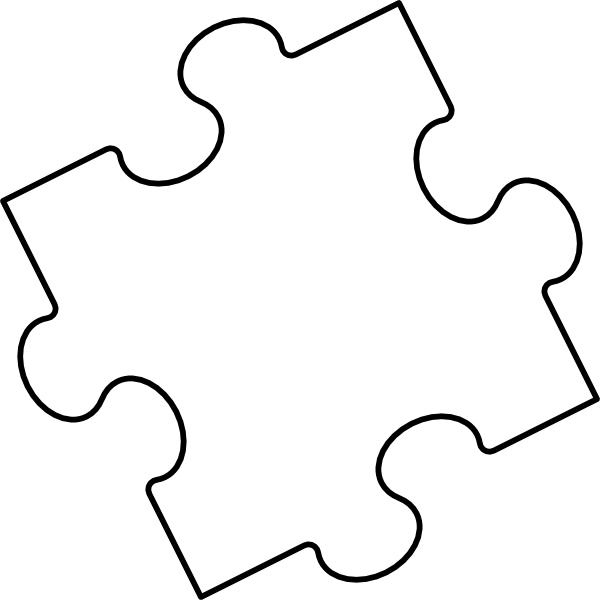 However, if you want to include more puzzle pieces on your poster, you may wish to reduce the size of the template. 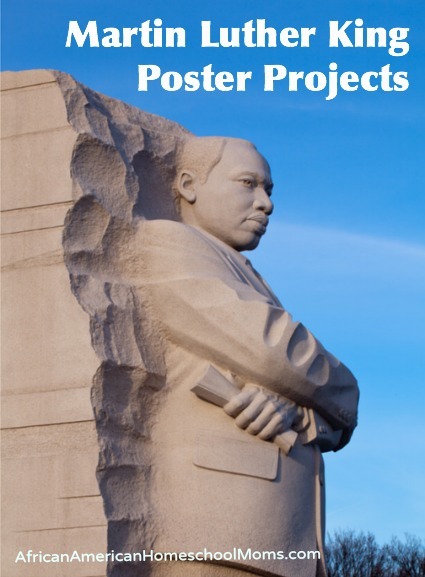 These Martin Luther King poster projects are a great way for your child show what she knows about Martin Luther King, Jr. Though you may wish use the format modeled here, your child can still put her own spin on this project by adding personally selected photos of Dr. King, writing statements about his life and vision, and choosing to use artistic techniques to express her feelings about Dr. King and his legacy.